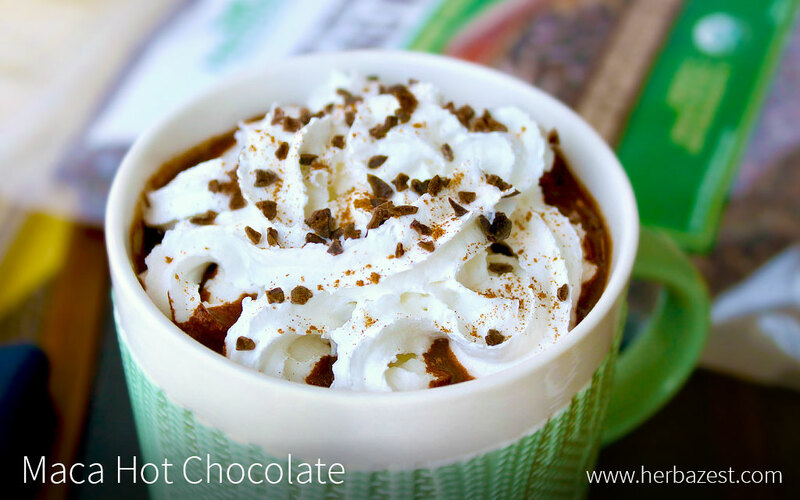 A cup of maca hot chocolate is exactly what the body needs on a cold, winter or autumn day. Adding a pleasantly nutty flavor, maca also shares its richness of sterols and fatty acid amides, both of which work together to balance hormonal release, stimulate metabolism, and improve cognitive functions, among other effects. Cacao's theobromine, on the other hand, is for its stimulant and mood-enhancing properties. As such, this maca and cacao hot drink is capable of nourishing the mind and body alike. Although drinking this maca hot chocolate is delicious on its own, when topped with whipped coconut cream, cinnamon, and cacao nibs, it turns into a real, wholesome treat.